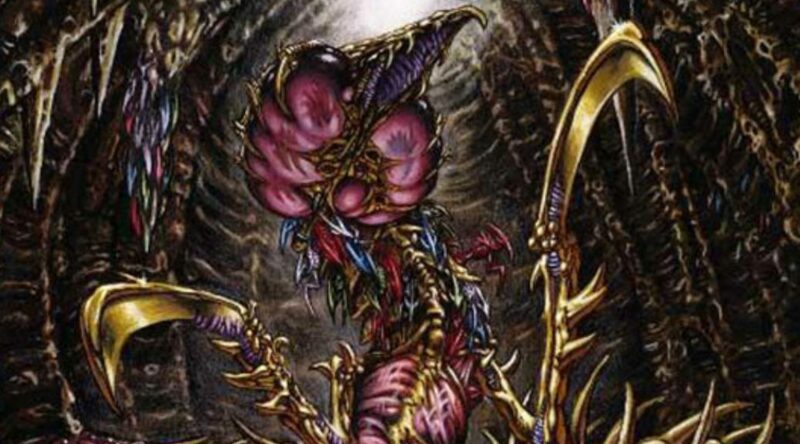 In my ongoing series Digging For Dollars, I try to identify Magic: The Gathering cards in the weeks leading up to the release of each new set that may be undervalued versus their true potential. Most of the time, this prognostication falls short of reality, but occasionally we throw up an early flag on a Tasigur or an Ojutai. DFD is a fun exercise aimed at helping the community think outside the box, but given the long-shot nature of the critique, it’s definitely not the best option if we’re looking to lock in a basket of profitable specs for reliable growth. By contrast, this new series will attempt to call out a more reliable set of opportunities for our readers interested in generating a consistent and profitable return on their MTG finance activities. In the stock market world, we talk often about blue-chip stocks, the companies that represent the most reliable combination of profits, longevity, and market leadership that signal a safe harbor for investors seeking reliable long-term growth. Companies like Apple, Microsoft, and IBM all fall into this category. The equivalent in the Magic world is cards like Black Lotus, Mishra’s Workshop, and Time Walk: the best cards of all time that are bound to offer modest but reliable annual returns so long as the game continues to grow. As a relatively young investor with a high risk tolerance, I’m not holding a lot of blue-chip stocks in my stock portfolio. Rather, I tend to focus on growth stocks, or the companies that are growing revenues, earnings, and/or market share the fastest relative to the market at large. These companies tend to be younger and they carry more risk because they haven’t yet proven their long-term value to the market. When they get there, though, they tend to do so in a big way, providing 20- to 100-percent returns in just six to 24 months. Companies such as Tesla, Facebook, and GoPro would be reasonable recent examples of companies that have demonstrated this profile in recent years. Multi-format all-star beyond Standard: Playable in at least two or three of Modern/Legacy/Vintage/EDH/casual. Played as a three- or four-of: Multiple copies useful in hand or in play. Played in multiple decks: Often due to being easily splashable and by offering flexible lines of play and a generally high power level. So what are we hoping to get out of these MTG growth stocks? Well, typically, I’m looking at this class of cards to provide 25- to 50-percent returns per annum, within a six- to 24-month time horizon. This also implies a focus on raw dollars versus a percentage increase in consideration of the value of our time as measured by the range of our hourly wages (e.g., a 100-percent return on $1 is generally much worse than a 50-percent return on a $30 card when you consider time spent and selling costs). 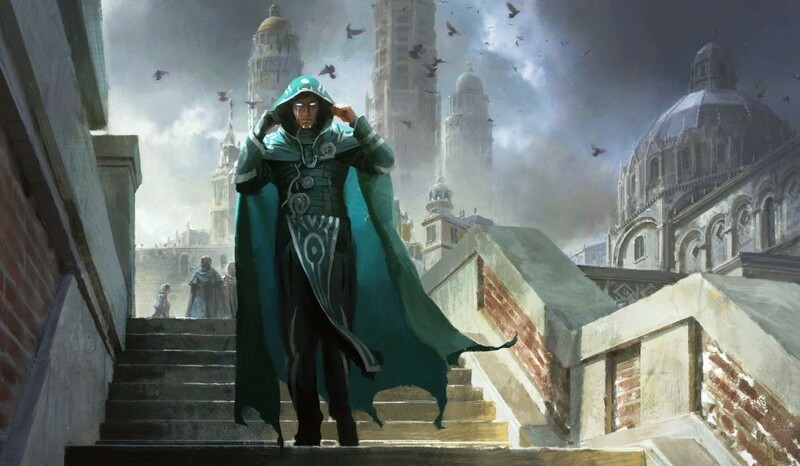 In my Magic Origins Digging for Dollars article, I dismissed the youngest Jace as an overpriced card that needed to find a deck in a hurry to hold its price, but boy did it prove its value! Apparently, a Merfolk Looter with upsides that offer sweet synergies with fetch lands, sorcery-speed spells, and graveyard creature recursion is good enough all the way back to Legacy. Remember, this is an iconic, mythic planeswalker from a summer set with limited sales, often played as a two- to four-of, viable in Standard, Modern, Legacy, and EDH/casual. The non-foils are going for $35 to $40 or so, and what foils I could find are available around $50, representing a significant discount versus the typical multiplier of two for English foils. Did I mention that there seem to be less than 50 foils available anywhere online and MTG Origins is pretty close to reaching peak supply? I see foil Jace hitting $80 to $100 within the year, and there’s a decent chance this is the next foil Liliana of the Veil. Get if while you can. Note: In the day it has taken me to write this article, this card is already signalling a strong move upward, with copies under $60 now very rare indeed. Here’s another tier-one card that almost everyone missed on the first pass. Hangarback has already demonstrated value as a multi-copy slot in a variety of Standard decks from UR Artifacts to Abzan to Jeskai and is likely to be a staple heading into the fall metagame. More importantly, it showed up in top decks all the way back to Vintage at Eternal Weekend last week, having been featured on camera in an innovative Shops/Robots deck. Not that you care, but I’m also testing it with Bitterblossom, Lingering Souls, Evolutionary Leap, and Siege Rhino in Modern, and I suspect it will find plenty of homes in Modern within the year. As a colorless creature with a flexible mana cost, resiliancy to non-exiling kill spells, synergy with +1/+1 counters, artifacts, sacrifice effects, and creature buffs, Hangarback Walker now looks like the very definition of a card set up to be a long-term multi-format staple. And as a rare from a Magic Origins, a low-supply summer set, chances are good that it can beat average returns and grow in a big way as more and more decks are uncovered that want to use it. Also in it’s favor is the fact that, like Snapcaster Mage, the card is powerful without being utterly broken, making deflation through banning(s) a low-risk scenario. There are very few foil Hangarback Walkers left available online at $30, and supply is dwindling. I fully expect this card to hit $50 to $60 before the end of the year. Knocking key permission spells out of opponent’s hands. Returning a Jace, Vrynn’s Prodigy from your graveyard. Slowing down Affinity’s explosive starts. With that kind of power, this spell has quickly risen to become one of the top 15 spells by play rate in Modern. Dragons of Tarkir is almost certainly at peak supply by this point, there are only about 50 to 60 easily available foil copies out there under $20, and heading into Modern season in the spring of 2016, I would find it hard to believe that this hard-to-replace instant won’t top $30 as more and more players gravitate towards the powerful synergies of the Grixis builds. Thoughtseize is quite simply one of the best discard spells of all time, and a key one-mana play in formats all the way back to Legacy. The card ranks at number seven of the most-played spells in Modern (and number 16 in Legacy) with 35 percent of Modern decks playing the card with an average of two copies being played in the main deck. Also of note is the fact that Theros, despite being a high-sales fall set, lacks key eternal-playable lands that will weigh down the non-land rares and mythics. With the gods and other targets from the set likely to take a couple of years to rise, there is very little preventing Thoughtseize from regaining a $30 t o $40 price tag as supply of Theros dries up over the next year. Note: Foils around $50 are likely also a solid pickup. Evolutionary Leap is one of the more unproven picks on this list, but I see a card whose true potential is still under the radar. With a low casting cost, easy splashability, and the ability to contribute to both combo and grindy, value strategies seems to balance well against its lack of immediate board impact. At the GP Charlotte Modern tournament last weekend, Chris VanMeter started off 6-0 with his G/B Elves combo deck before fading from contention. The deck was running four copies of Leap and amply demonstrated the ability for this card to lead to big plays. As I mentioned above, I’m currently testing the card as a way to trade tokens for reliably powerful creatures like Siege Rhino in Modern, but I have confidence that a better player will find even more exciting reasons to be running this subtle enchantment as new cards appear on the horizon. At present, there are over 150 copies available online around $10 or $11, so the entry point on foils is attractive if you agree that this is a future pillar in at least one good Modern or Legacy deck. I’m targeting a three- to 12-month window for this one to top $20. This is a four-of in Modern Merfolk, a deck that recently won a Modern GP. As yet another Magic Origins rare that will see Modern play and has some degree of casual appeal, this has a decent shot of doubling up within the next two years. So long as Splinter Twin doesn’t end up banned (and so far signals are good it won’t be), the rare should easily rebound above $20 next year. The one warning ping in the back of my mind is that Modern Masters 2016 might be a thing (25-percent chance? ), which would threaten all Modern staples that might be reprinted into the ground. Assuming that doesn’t happen, the fact that the Twin combo just jumped the wall into Legacy bodes well for future demand. Heading into a landfall-based Battle for Zendikar set, and with the news that we won’t see the ZEN fetch lands until at least February 2016, there is a decent window for the KTK fetch lands to show solid gains this October and November as a supply crunch driven by vendor hoarding meets increasing demand. The best play here was actually picking up Delta and Strand below $12 at peak supply last winter, but Mire and Heath could easily end up pushing $20 or more if the metagame shakes out right. Keep in mind that ZEN fetches in the winter set could knock back the value of fetches across the board, so the window may be brief or even non-existent, depending on how much Standard actually needs the fetches once we’ve seen the new land template at rare. Tasigur is likely to be a one- or two-of in Modern, Legacy, and even Vintage decks for a long time to come. It’s recently jumped from $25 to $30 to having very few copies available anywhere under $45. As a small set rare already past peak supply, Tasigur should easily hold a $40 to $50 price tag in foil with the potential to top $75 if it ends up in a strong deck in Modern or Legacy that runs three or four copies instead of the usual one or two. That being said, I think the window has mostly closed here for reliable returns. Full disclosure: I am holding copies of most of the cards on this list.